Welcome to Coupon 101! We will go thru the 5 basic steps on How to Start Couponing for Beginners! This article is the show notes for the accompanying video on youtube for How to Coupon, you can watch it here. Feel free to ask any questions in the comments below or on the video page. I’m here to help. Also, subscribe to my YouTube channel for more beginner tips, and videos diving into in-depth couponing & money saving topics. The goal to couponing is to buy items at the lowest price (or very low price), and to buy enough until the next time you can score the item for the lowest price again. We do this by taking advantage of sales, and combining them with the usage of coupons and cash back offers. This”very low price” or “lowest price” is known as a “Stock-Up Price”. A Stock Up Price is a price point that is low enough that you want to buy multiples of an item. We buy multiple units so that we have enough to use until the next time it goes on sale again. In this buying pattern – of buying low, waiting, and buying low again – you never have to pay full price for common household essentials. 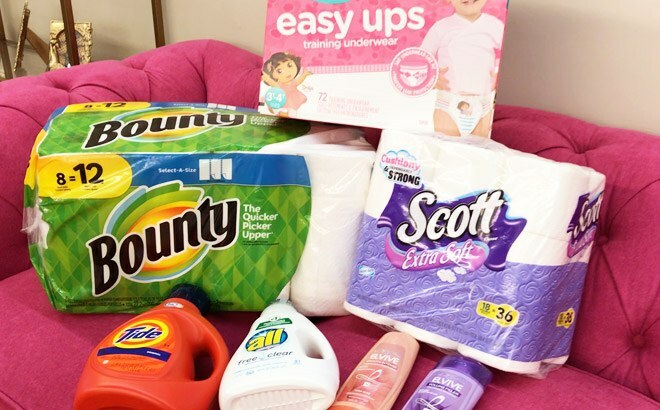 Examples of common products that we see deal on regularly are: Toilet Paper, Paper Towels, Laundry Detergent, Toothpaste, Shampoo, Lotion, Diapers. There are two types of coupons. Manufacturer Coupon (MFQ for short) and Store Coupons. Manufacturer Coupon – Issued by the product brand. They say “Manufacturer Coupon” at the top of the coupon. These coupons are paid for and issued by the product brand. ie. Tide laundry detergent coupon is paid for by P&G. Store Coupon – Issued by a store or retailer. ie. CVS or Walgreens. They will have the store name printed at the top of the coupon. 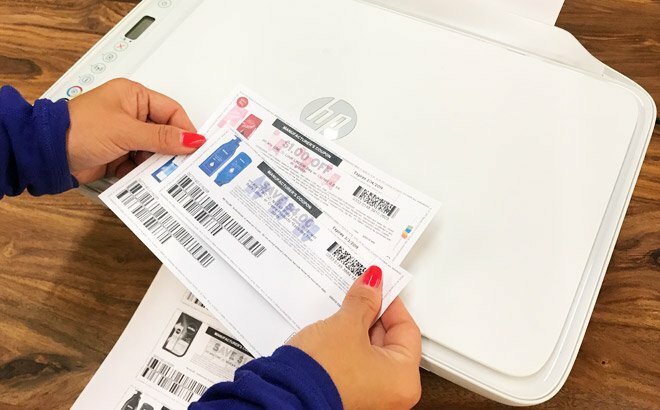 For example, “Target Coupon” will be printed at the top of a Target Store Coupon. The most important rule to remember is that you can use 1 Manufacturer coupon per item you are purchasing. You cannot use 2 Manufacturer coupons on 1 item. However, when you have a Manufacturer Coupon AND a Store Coupon on the same item, you can use both coupons at the same time on that 1 item. Essentially using 2 coupons on the same item. This is called Coupon Stacking. 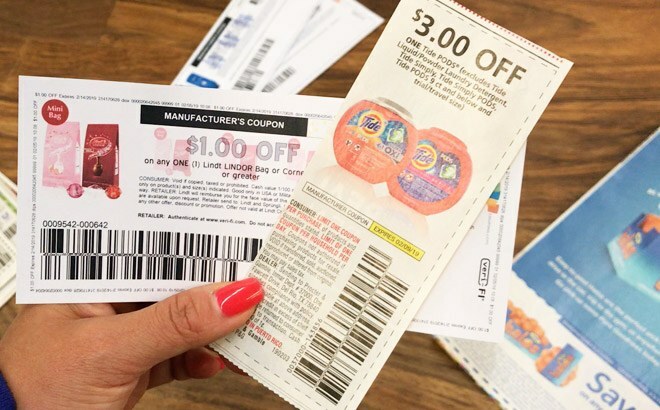 Coupon Stacking is when you are allowed to use multiple offers and coupons on the same item, creating additional ways to save even more money. You can stack Manufacturer Coupon, Store Coupon, Store Rewards (if any), Store Sales & Gift Card Promotions, and Cashback Offers – on the same item! Inserts are little booklets filled with coupons. You can find these booklets inside Sunday edition newspapers in most regions of the country. Insert coupons are the most common source of coupons for extreme couponers and coupon hobbyists. Insert coupons are not required, but if you are serious about diving into couponing, I recommend starting to collect inserts every Sunday. RetailMeNot (RMN) – This used to be called Redplum or RP. 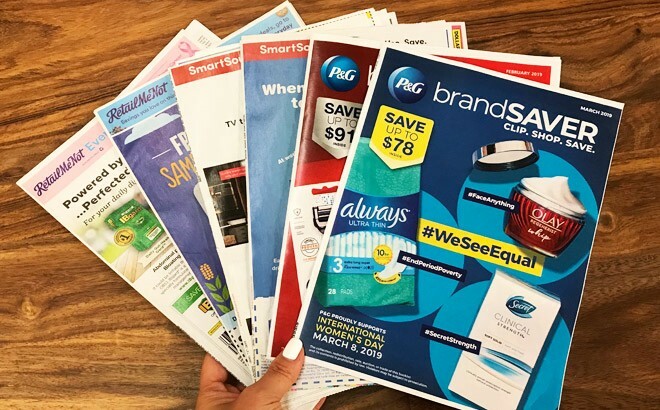 Some regions do not receive the RetailMeNot inserts in their Sunday papers, since in those regions, the RMN insert is included in the mail with weekly circulars. The inserts that are included in each week’s paper is on a pre-determined schedule. You won’t find all 3 inserts every week. P&G inserts come out on the first Sunday of every month. We publish this schedule every year in January on the blog at FreeStuffFinder.com – You can find the insert schedule linked under “Coupons” or “Coupon DB” site menu. Here is the 2019 Sunday Coupon Insert Schedule. We refer to each insert by their acronym and the date from the Sunday when they came out. For example “SS 1/20” is for the SmartSource insert from January 20th. And the little “x” means the expiration date for that coupon. So “x2/28” means the coupon expires on February 28th. I recommend writing the date on the front page of the insert with a sharpie. If you are ever unsure which date an insert came from, you can find the date written in very tiny font along the spine edge of the insert. You can start collecting inserts by purchasing Sunday newspapers. Please make sure to open up the paper (if you can) to check if there are inserts inside before you buy. And keep the receipt, in case there are no inserts and you need to return the paper. Do not spend more than $2.50 per newspaper. Ideally, we want to keep this cost to $1.50 or lower. Dollar Tree for $1 – The cheapest place to get the Sunday paper is at the Dollar Tree, assuming your Dollar Tree carries Sunday papers. Some regions even have Sunday Edition papers that are released on a Saturday, called Early Edition. Call your store or visit a DT on a Sunday morning. Friends, Neighbors, Family – If a friend or neighbor has a newspaper subscription, including Sundays, ask if you can have the inserts. 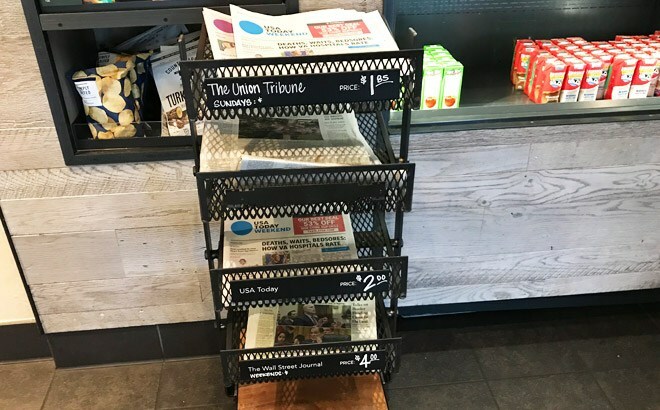 Starbucks, McDonald’s, Restaurants – My starbucks also has a little newspaper stand, where you can find papers for $1.85. I’ve heard of similar with some McDonald’s. I’ve also seen abandoned newspapers at Sunday breakfast restaurants around town. Keep an eye out. Convenient Store – I haven’t tried this but I heard that convenient stores toss their papers after midnight. If you know if this is true or know more, please let me know in the comments below. Long Term Solution – For the long term, I like to get a Sunday Only paper subscription. Look for promotions in your region. For example, in Southern California, LA Times will run their $10 promotion, where you can get a year’s deliveries for just $10 per year! Limit 5 per household. They deliver as far south as San Diego. By Bulk – I don’t recommend buying inserts by bulk from insert sellers, especially if you are just starting out. Most people won’t know what to do with that many inserts. And the math usually works out to be more expensive if you just bought the newspapers each week. Start with collecting 2 papers each week. The quickest and easiest way to start couponing is by using printable coupons. As long as you have a printer, you can get started. You can browse and print coupons here. You can find deal ideas with printable coupons under “Coupons” menu on FSF. If you are in the market for a new printer, I highly recommend getting a Wireless Laser Printer. I prefer HP brand, and I recommend getting a B&W printer to save on ink. Keywords are: Wireless and Laser. Laser printers cost slightly more to buy the machine initially, but you will save a lot more money in ink in the long run. Plus they print much faster and do not smudge. Now that you have coupons and know where to find them, it’s time to find some deals. One way to find a deal is looking thru a store’s weekly ad to see what’s on sale, and then checking the coupons you have. If you see an item that is on sale, and you have a coupon for that item, you can match the two together to stack your savings. This is called a “Matchup”. 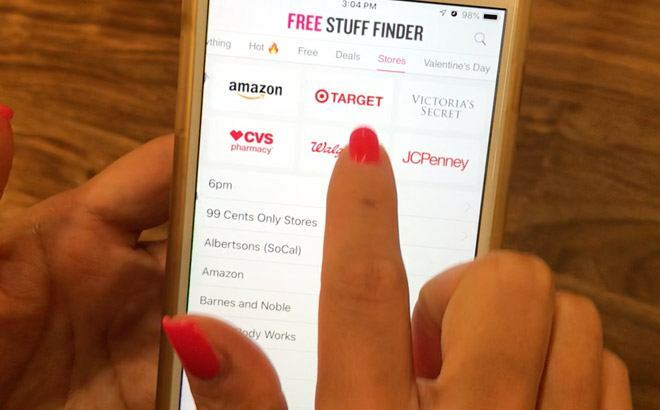 You can also find Coupon Matchups and Deal ideas posted daily on FreeStuffFinder.com and my (Upcoming) Mobile App. We also post an extensive weekly matchup list for major stores like Target, CVS, Walgreens, and Rite-Aid. It lists everything on sale that week, and we’ll also list any known coupons or cashback offers you can stack with the sale. You can find the weekly matchup pinned at the top of each store category (Click on Stores from site menu, and then clicking on the store name. ie. Target). Weekly matchups are updated through out the week. When learning anything new, there is truly no substitute for practical experience. You will learn so much when you are out doing and practicing. Pick one or two deals that you understand and then going out to try them. Pick easy deals. I highly recommend you start at an easy store, like Target, if possible. CVS is also a friendly store if Target isn’t an option. Keep an eye out for a followup video, where I will share the Top 10 Tips for New Couponers to have a successful first couponing trip! Make sure to subscribe to my YouTube channel to be notified of updates. Hi is this just a USA freestufffinder as I’m a member but live in UK so is there a UK freestufffinder as I’d love to try couponing,thanx in advance. This couponing information is priceless. Thank you! Hello tina, ive been watching all ur videos/ tutorial about couponing coz I want to know more about it and to save some money thank u for all ur videos .I have some questions in my mind. If All printable coupons are allowed to use in all store? Thank u in advance. gobless and more power . Hey Yden, thank you for the kind words. Most stores will take printable coupons, but it is always up to the individual store on whether they accept them or not. Be sure the coupons you print are legible and not blurry. It’s always a good idea to read the stores coupon policy ahead of time. Hope this helps! How do I get access to coupons through this site and how do I print them off or is there a way for them to scan on your phone. I am new to all this and would like to start saving money today. 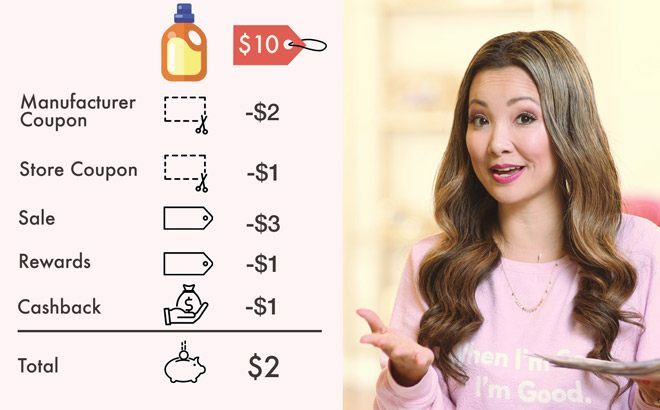 Hey Summer, check out my Couponing 101 series here: https://www.freestufffinder.com/how-to-coupon/. It will answer some of your couponing questions and maybe give you a tip or two. Lesson 2 is all about where to get coupons. Hope this helps! Coupons seem to be starting. Can you send instead send coupons and / or data base for Germany? Hey Tom, I don’t have access to a coupon database for Germany, I’m sorry. Do you have or have you thought about making a stock pile price list available for your followers? Hi Teresa! I have a very rough price list here. It’s on my TODO list to make something more formal.